Is anyone else loving this season? The hustle & bustle, the picking out of gifts, the glitter & lights-I love every single bit of it. But y'all, it makes this teacher tired. 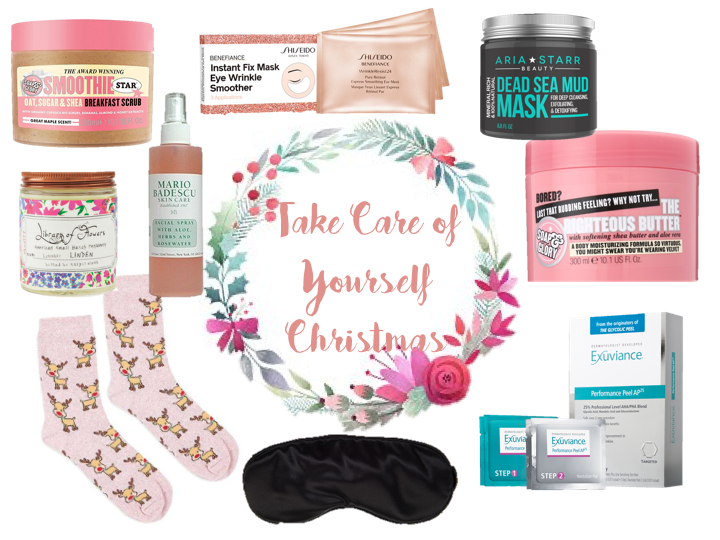 Today I've gathered a few of my favorite things to take care of myself during this busy Christmas season...bonus, these work as great gifts for your bestie, sister, mom, or secret santa! 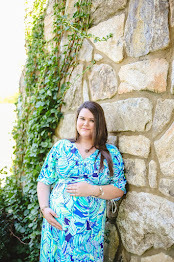 Some of the links below are affiliate links that support this blog, thanks for supporting Southern & Style! I'm going to go through & tell you a little about why I love or recommend each item. . . I have been using this for a couple of weeks now & y'all this is so good. I have noticed a visible change in the texture of my skin most of all-which is something that I've struggled with my whole life. It's a little pricy, coming in at $77-but you only use it twice weekly & honestly, I'm going to splurge on skincare because my skin has to last me my entire life. Exuviance is one of my favorite brands that always treats my skin well. This sugar scrub is deliciously good-it's the perfect price for a gift & a great size as well. The scent is maple-sugary, but not too overwhelming & it leaves your body feeling soft & smooth. This is the product that made me fall in love with Soap & Glory, it's seriously that good. This body butter is rich & creamy, the scent is absolutely divine-it lingers on your scent all day in the best way. Given with the sugar scrub above, this would be an awesome pampering gift. Masks are great for relaxing & this one is amazing at drawing all the impurities out of your skin. I love gifting masks as well because they almost force someone to take a few minutes for themselves, which is what all you hard-working people need this time of year! Everyone needs a good pair of Christmas socks! These are a cute and affordable option from Forever 21 that would make such a fun stocking stuffer. Along the same lines as the eye mask and the performance peel, under eye sheet masks are awesome for relaxing and recharging. I don't know about y'all, but anything I can do to help hydrate my skin during the harsh cold weather, I do-these are key to keeping the dry under-eye & dark circles away. A great facial spray is a must for helping me take care of myself during wintertime. I love how refreshing this one is along with the light rose scent. In the past few weeks I've been using a sleeping mask & my sleep has never been better. If you're struggling with waking up during the middle of the night or just not resting as well as you should-I really recommend picking one of these up! Y'all know it wouldn't be any kind of gift guide on my blog if I didn't include a candle. I love the floral jar, it's so so pretty. Plus candles are so relaxing-I love that you can soak in the bathtub with the gentle flickering or light one while you lay down on the couch with a face mask on. . . They're just the perfect way to end the day! Guys, I hope this helped you find a few things to relax this holiday season. . . I know it's all about giving to others, but we have to remember to take care of ourselves too! A big thank you to Exuviance for providing me with product in exchange for an honest review. All opinions are my own. Thank you for supporting brands who support Southern & Style. I work with a lot of women and this year, one of the gifts that I'm gifting them is a face mask. I think we are all a little tired right now, so I totally agree with taking care of yourself during this season! I love the holiday season and I decided beforehand that I was going to move through it with ease. I met my goal :) and topped it off with a wonderful massage the day after Christmas. That soap and glory body scrub sounds so good to my itchy winter skin!! Wow, these are all amazing I love this post. Christmas always wear me out! I needed to take a day to just pamper myself after. I love your picks too! Body butter is one of my favorite ways to pamper myself. After a hot shower, getting out and slathing on the body butter is so refreshing! I really, really want to try the Soap & Glory products! I'm thinking of buying the facial cleanser and matte lotion! Mario Badescu is great and I have tried that before. Lovely post!! Haha I am actually sooo over the holidays! So, I'm ready to treat myself with that deep sea mask!